One of the human behaviours that dogs our ability to make sense of emerging concepts is that, too often, we are obsessed with the fact that they are shiny and new - and so we simply make a grab for them. What we don't do is make enough of the properties they share with concepts we already know about. And so it is with B2B content marketing. Because it is often positioned as “new,” we tend to overlook the strong connections it has to the practices (and practitioners) of the past, and the wisdom therein. The further back you go, the more examples you find to show that some of the most effective marketing came from a time when the term itself was either embryonic or completely unknown. Take Churchill, for example. His impassioned speeches, larded with the clever emotive devices of classical rhetoric, were the cornerstone of a marketing campaign to persuade his people to “buy” six years of violence, heartache and penury. 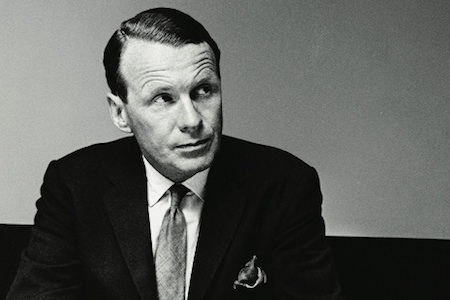 What can we learn from Ogilvy? Inspired by this excellent slideshare, and using some thoughts of my own, I have translated Ogilvy's skills into a brief set of guidelines for today's B2B content marketers, so that you too can benefit from the great man's wisdom! I have only one thing to say, here – remember your buyer personas! The most eloquent message is worth nothing if you are not connecting with those things that your customers most care about, and in an idiom they actually understand. As the man himself said, “...write in the vernacular.”! Ogilvy was one of the first to realise that customers are more likely to stop and read something that looks like editorial rather than something that looks like an advert. For today's B2B content marketing, this is absolutely critical. When it comes to producing content, you are a publisher – and what you publish is editorial, not advertising. As I have noted elsewhere, if you want that editorial to be attractive and credible, you have to make the move from the propagandist (pushing a message to incite a sales action) to the informative (giving your customers options, not instructions). If your stuff reads like an ad, it'll get treated like an ad. Next stop, trash! Ogilvy was quick to identify that treating readers as if they were a homogenous audience gathered in a stadium was a strategic mistake. The customer's sense of individuality, he realised, was precious. Translate that into the language of this digital era, and through savvy use of social media it becomes far easier - than it ever was in Ogilvy's time - to engage with the customer's sense of individuality by listening and responding to them. And, as I've said elsewhere, if you and your customers are not having a conversation to determine what content writing they want to receive from you, then you're probably wasting your time anyway! 4. Verification – Go and try them out! Ogilvy became so practised at this process that ideas would even come to him in his dreams – most famously, the award-winning Pepperidge Farm bread campaign. It's a paradox in B2B content marketing that sometimes it's necessary to look backwards in order to move forwards – but it is thus. Let's be clear, the art of engaging with your audience to get to a specific outcome is as old as language itself. You didn't invent it, and neither did I. Your content goes where Cicero, Churchill, Bernays, Ogilvy and others went before it – and many of the same rules, expectations, opportunities and pitfalls apply. But a key difference is -- you have better tools.